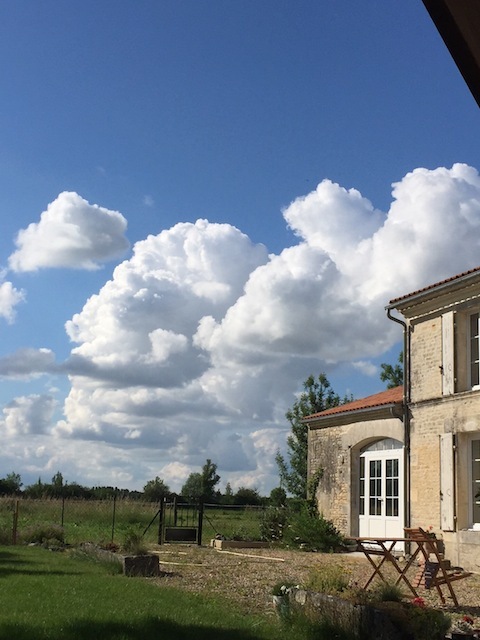 Now that you’ve had a look at the moody green splendor of the moors near Manchester, England, take a look at the brilliant skyscape near Bordeaux, France (courtesy of our staff), and a favorite poem of theirs. they have no notion of dying. let hail and water fall. ape all that is solid. watching them for a while. Sometimes the universe throws back the curtains here also, and the sky castles roll past. What is missing in recent summers are all the curlews that used to rise out of the fields, whistling their way out of sight. 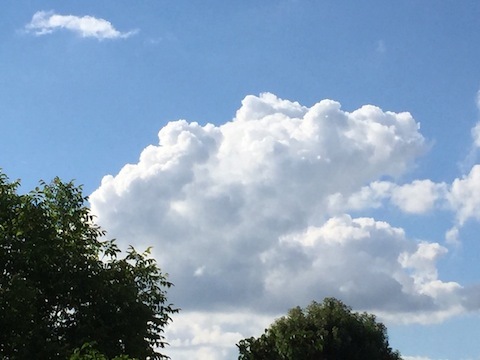 This entry was posted on 20 June, 2018 in homepage. Bookmark the permalink.